I often take that song for granted yet I'm surprised that Lani Misalucha, Regine Velasquez and Jaya did good in this. Hope you like it! Taken right after the head-splitting IELTS exams. The first four pics were taken at Xavier Sports and Country Club where the exam was held featuring the pool and an old Maranao-carved wooden canopy. I'm so fascinated with antiquities. The rest are pictures of the San Agustin Cathedral of Cagayan de Oro. One of my most favorite vignettes in television, 'Camera Café.' 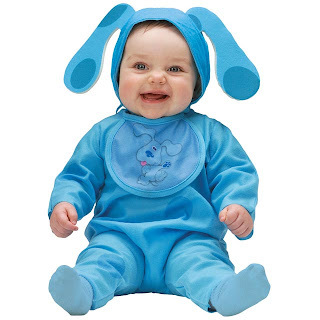 It is an original French production and it is now widely exported around the world. Actually, there are 2 Asian versions of the spin off one is the Indonesian version that started this year. It gained success to other 11 European countries, Australia, Canada and Latin America. Click here for more. English 16 EDB. The most bizarre English experience at Ateneo. EDB is my class section way back 5 years ago when I was a freshman. It's kind a weird to recall those younger days but my posting is not about English per se rather it's the experience I had with a demented English teacher. In Ateneo, freshmen are required to take the Math and English placement exam to gauge the skill of a student before they enter the college way of learning. Usually, it happens 3 to 5 days after the first day of class. In some universities, they admit the students to English 1 or whatever their subject code is, everyone is entitled to go back to the basics of the English language. I even encountered a problem in the registrar during the evaluation of my transfer credentials. You see, course description should match with your new school. Ours was 'Study, Thinking & Communication Skills in English.' Luckily, I was able to settle the dispute with the records in-charge and fortunately, made my way to the graduation ceremony. After we took the English placement exam, we were assigned to our new classrooms and of course to a new teacher. I was designated to one of the gloomiest and oldest school building in the city, Xavier Hall (the image above). Accounts from the oldest alumni says, it is where the Japanese soldiers tortured men and women of the Guerilla during the world war II. It gave me the creeps after hearing the hall's history but I didn't care at all. All I cared about at that time was who will be my new teacher. I scooted my way down to the hall and went up to the steepest stair case of the gloomiest, oldest school building like I was actually climbing a 20 feet wall. I reached my new classroom at the darkest corner of the second floor. The furnishings were old, dusty and rusty. It was like ages. I wondered what my professor would look like. Does he or she looked like these things? Or smell like them? I was surprised to see my cousin, twice removed, of the commerce department and some of my block mates in the room. A few minutes later more and more students from different colleges were filling the timeworn classroom. Everyone sighed after knowing that we made it to English 16 and not 14. Later on, a lady with a shuffling gait came carrying a large bag. I bet she could bring everything in the house with that bag she was holding. She was sallow and grayish more like on her mid 50s. Her jet-black hair was like a mop standing on its handle and just like a mop her hair parted revealing the signs of hair loss. She climbed the rickety pulpit supporting her knees and reached for the back support of the teacher's chair then dropped the bag on her desk inscribed with the initials A.M.D.G. (Ad Majorem Dei Gloriam which means, 'For the greater glory of God'). She grinned and wrote something on the board. Her arms sagged like a dough held by a baker and wrinkled each time her muscles twitched. I wondered what was holding this woman together. It was not clear from my desk but according to some classmates at the front it said, 'English 16 EDB.' I prefer not to disclose her name. I'll call her with the pseudonym, Mrs. Trend Setter. The first month with her was an ordeal for all of us. I couldn't imagine a teacher would likely scold a student who tried to ask some questions about a lesson or an exam. Like most teachers have, she has a favorite student. Her name was Marilou. Marilou was the most articulate in class. Although she was an eyesore she sounded cute especially the way she talk. Like most eyesore, she was nice to all of us and shared the advantage as a teacher's pet. She used to negotiate with Mrs. Trend Setter and bribe old issues of Vogue magazines to extend our homework deadlines, the least best thing she can do. To cut the story short, you might be asking what's bizarre with the experience I had. Well, after that semester Mrs. Trend Setter died. According to a reliable source, she was diagnosed earlier with cancer of some sort and she was advised to rest but with her passion she rather teach than rot in bed. That explains her mood. She was passing. I bet she was in pain at some points in our class. She was a good teacher even though she was grouchy at times. Then a few weeks later, Marilou died from a car accident. The news spread in the city like wild fire. She was in the local papers, on the radio and the local news. I was shocked to know that she was the city youth council chairman. Her wake was held at the City Hall. I was thinking that their wake should be in our classroom with their caskets positioned side by side to make it more dramatic with Vogue and refreshments served on the coffee table. Weird, bizarre it may be but the deaths gave us the creeps. We went straight to the chapel after hearing the tragic events. God bless their souls. 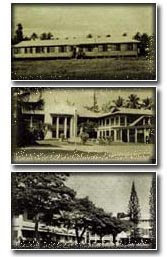 The image above shows Ateneo de Cagayan (now Xavier University) during the 1930s. Xavier University (1933) is currently celebrating her 75th year of existence. Yesterday afternoon, me and my review classmates decided to have our very own endurance test for the upcoming British Council IELTS examination which is next week. Writing, speaking, reading and listening skills are measured in the test. We've realized that one skill practice in a day is not enough for our preparation and four thousand bucks for that review did not pay off. Maybe it's their way of preparing students, limiting the pressure. Well, I got something from that review it's just that it is so insufficient and a waste of time and money to go to the city and take one practice test of one skill in a day. I commute everyday paying 15 bucks from home and vice versa and I make sure that all of my appointments in that day is done. I make sure that all my itineraries are structured base on the route and time. I have to go before the traffic goes bad. We have a very good traffic in Cagayan especially during rainy days and rush hours I tell you. :D Rainy days are like hell in front of an original Kagay-anon shopping mall. The city's drainage system is excellent! An hour of downpour will create an expanse of man-made Yangtze River but it's more like the Amazon not to mention that it came from the sewers beneath the city. I just can't imagine the different colonies of microbes in it. These are the discomforts you experience in a third world country but no matter what I do I live here and I have to survive. I reckon survival here is innate. You have to fight. It may be an insufficient, expensive exam preparation or walking across a flooded sidewalk you have to make it. For as long as you have the motivation surely you'll get yourself through it. I remember a few months ago, Adam and 2 of my confused girlfriends who are clandestinely dating together planned to go out for malling on a sunny Sunday. Malling and window shopping are synonymous to broke. Unfortunately, it wasn't a sunny Sunday at all. A few kilometers from home, a cyclone hit a neighboring town and everything was overflowing with brown waist-deep water. The flood that I'm used to was knee-deep high like the ones in front of the city's premiere shopping mall. This one was appalling. We were craking jokes about the end of the world, the deludge and all but seriously it was horrible. We were thinking about the shopping mall we're planning to wreak what it looked like with the flood waist-deep high. Did the mall float gondolas around to take in shoppers? We reached the mall with the usual knee-deep flood and the bus detoured in the premises. We stopped by a place where the water was ankle-deep. I was wearing shoes and I don't have plans of contacting fungal infection from soaked-wet socks and shoes. The three were wearing flip flops and Adam decided to carry me on his back and that was embarrassing. Even right at this moment, I feel like I'm a weakling at that time but somehow it was fun. Another moment to treasure with old friends from 8 years ago. 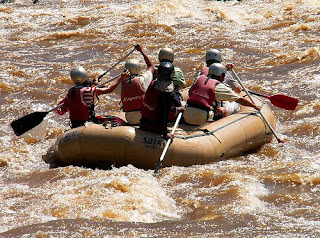 My point here is that no matter the circumstances are a very good support system helps a lot in facing this rushing waters, the great rapids of the drift called life. The experience I had on Adam's back was a perfect symbol that no matter what you are and what you're into they are always there to support you and that's fabulous. This posting is dedicated to someone from the past that until now is blinded from the value of relationships. I hope you two will patch up the pieces together. The pic was taken at the Cagayan River where white water rafting is showcase whole year round. I'm not an expert in sexing angelfish but I guess it's a she... the way it shrugs its fins and curved fin tips made me say it's a chick. I bought her from a local supplier just a few blocks away from home. She belongs to the P. altum species originally from the Orinoco delta in Venezuela. Unfortunately, she won't be staying at my tank for good but she'll be living at my boo's tank. In a few days, she will be in the city with some other tank mates. Is this the tummy wammy? is a big big boy! I love Sunday sleep-overs so much! I usually spend the night with a special someone watching cable TV all night till the wee hours in the morning. I don't have cable TV at home and I'm trying to enjoy this internet connection as you do right now. The first channel that I usually check is either BBC or CNN. I love news so much! National Geographic and Discovery Channel runs second followed by either Lifestyle Network or Travel and Living. The rest will fill the gaps during commercial break. Last night was BBC. Hilda (my review coordinator mentioned earlier), suggested to listen and watch British films, news and programs to get use to their accent. I reckon I never had a hard time listening to their tautologous manner of talking. The word 'tautologous' means "saying the same thing twice." For instance, 'I always wanted to ride the double-decker bus. The lorry's second floor may or may not have a roof.' Lorry actually means a bus or a truck. Well, anyway, the first headline that flashed on the screen last Sunday was about the India Temple stampede that killed nearly 150 devotees which includes children and old folks. It was said that a landslide rumor caused the sudden panic of the devotees on the hilltop trampling the innocent victims down hill. My zeal of searching information was so intense and I've found in the internet a list of the deadliest stampedes ever recorded in history. It's pity to know that India has two entries in the list the most recent was last Aug. the 3rd. The deadliest was from Saudi Arabia in 2006 that killed 364 devotees during the annual Hajj pilgrimage to Mecca. Here is the list recorded by BBC. I have arranged this according to the number of casualties. 2 July 1990, Saudi Arabia: Some 1,426 pilgrims, mainly Asian, die in a huge crush in a tunnel leading to Mecca's holy sites. The authorities say most died of asphyxiation after the tunnel's ventilation system broke down. 31 August 2005, Baghdad, Iraq: Up to 1,000 Shia pilgrims are trampled to death or drown in the Tigris river after rumours of a suicide bombing sparked panic. Many of the dead are women and children. 12 January 2006, Mina, Saudi Arabia: At least 364 die in a crush during the annual Hajj pilgrimage to Mecca. Officials say the stampede happened after pieces of luggage spilled from moving buses in front of one of the entrances to the bridge of Jamarat, causing pilgrims to trip. 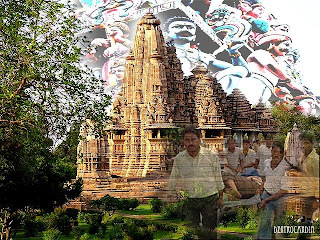 25 January 2005, Maharashtra state, India: Up to 300 Hindu pilgrims die in a stampede during a Hindu pilgrimage to the remote Mandhar Devi temple. Many pilgrims are crushed and burned to death as fires in roadside stalls force crowds into a narrow stairway leading to the hilltop temple. 1 February 2004, Mina, Saudi Arabia: Some 251 pilgrims are trampled to death in a 27-minute stampede during the Hajj. Officials say many of the victims were not authorised to participate in the Stoning of Satan ritual, after new procedures were introduced following previous stampedes. 3 August 2008, Himachal Pradesh state, India: 9-day festival killed 150 devotees from landslide rumors downhill of a temple. 9 May 2001, Accra, Ghana: Some 126 die in a stampede following a football match. The tragedy takes place at the Accra Sports Stadium during the match between rival teams Accra Hearts of Oak and Asante Kotoko. The Ghanaian police are blamed by many survivors for causing the stampede by firing tear gas in the packed and locked stadium, after angry demonstrations by fans of the losing side. 9 April 1998, Mina, Saudi Arabia: At least 118 pilgrims die and more than 180 are hurt during the Stoning of Satan ritual. The pilgrims, mostly from Indonesia and Malaysia, are trampled to death after panic erupts when several people fall off an overpass. 15 April 1989, Sheffield, England: Some 96 Liverpool supporters are crushed to death during the FA Cup semi-final between Liverpool and Nottingham Forest. Police had opened the doors at one entrance to Hillsborough Stadium to allow about 2,000 people without tickets to enter the stadium, crushing others in the stands. This is between Man and his God. Man is vulnerable in many ways. With a strike of lightning, he dies. Man's destiny is to die no matter how intense his religious fervor is. We can't blame religion for this because man dies trying to reach a level divinity and sanctity. A prayer offering for the survivors and families of the victims will help. The image above is not the actual temple. I was left dumbfounded after seeing this. Anyway, he got the talent. :D hope you enjoy this post. That is a guy singing Leona Lewis, seriously. It's Sunday the 3rd of August and you won't behave like this during church service. This clipping was taken from the comedy First Sunday with Ice Cube and Tracy Morgan by Screen Gems Entertainment and Cube Vision. Ice Cube plays a desperate father and a petty criminal who ends up stealing from a local church. The film is a perfect depiction of Malachi 3*. Just ignore the choir conductor. :D Let's behave appropriately in church and have a blessed Sunday! "Will a man rob God? But, you ask, 'How do we rob You?' "In tithes and offerings."